Paint rocks to create your very own genie gems! As a parent you’ve probably experienced fully-packed days of carpools, bath time, homework, birthday parties, and dinner prep. The days are long, but the years fly by! 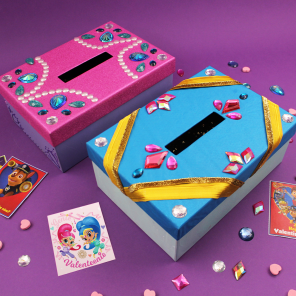 To make sure you sneak in some bonding time with your little genie, try this sparkly craft. Take a long walk together and challenge each other to find and collect smooth, flat rocks. When you get home, it’s time to customize! 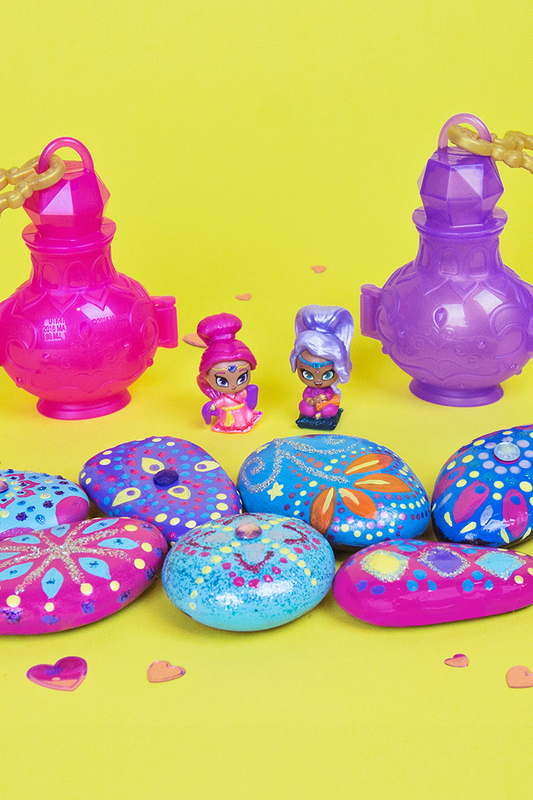 Use paint, stickers and glitter to transform the rocks into magical genie gems. 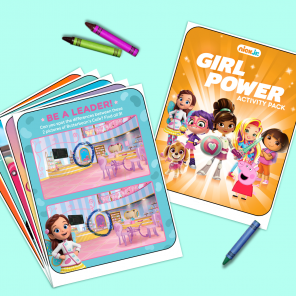 Your Shimmer and Shine fan will be zahr-amazed by their creations. Let your genie gems dry and don’t forget to make a wish!